Did you send all of your Christmas cards already, or are you still crafting? Maybe you are searching for some inspiration, so I hope, I can help you. This week will be full of Christmas cards. At first, I have to apologize for the picture quality, but we hadn't sunshine for at least three weeks now, so it's a bit difficult to take a nice day light picture without the sun. The place I use to live now is between a lake and the Alps and we have a lot of fog, and I mean really heavy fog every day. You all probably know the Birdie Brown stamps set Toasty Greetings by My Favorite Things. It was released last month, and I thing everybody has to love it. These images are simply adorable. 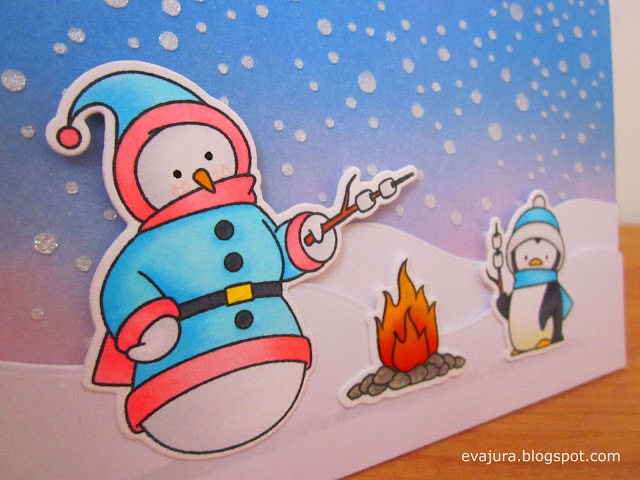 I colored the cute snowman and the little penguin with my Copic markers. 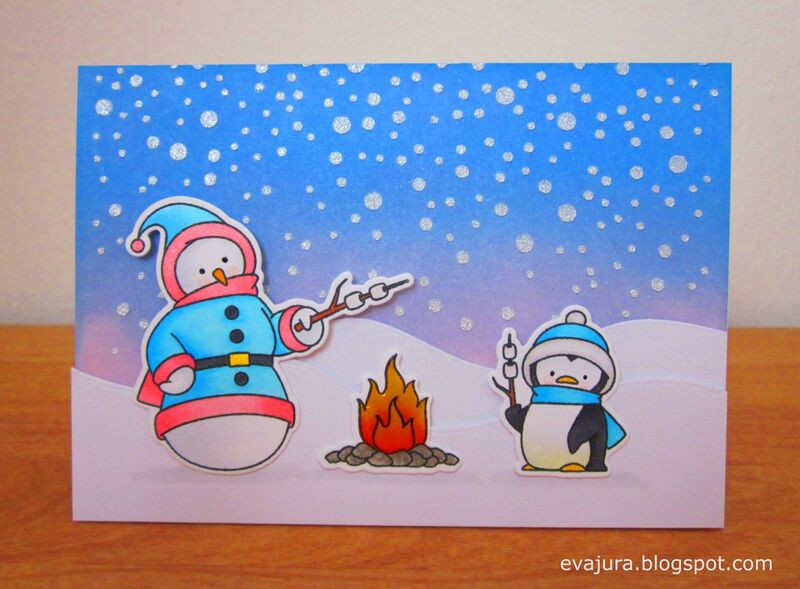 This card is on its way to the recipient already. Thank you for coming back and reading my blog today. Have a beautiful day! This card is absolutely charming! I love how you created such a festive winter scene and the colors are so energetic and lovely. I also really like how this card is so clean and crisp with the images and cuts. It looks seriously PRO! I also love how you made the snow look so soft and textural. Wish I had my cards made, but I'm one of those procrastinators, so I'm still crafting away! Thanks for the inspiration and for sharing your work with us for this week's Simon Says Stamp Monday Challenge! Was für eine süße Karte! Der kleine Pinguin ist einfach unwiderstehlich. Ganz besonders so wie du ihn in Szene gesetzt hast, mit seinem Schneemanfreund vor dem genial gewischten Hintergrund. 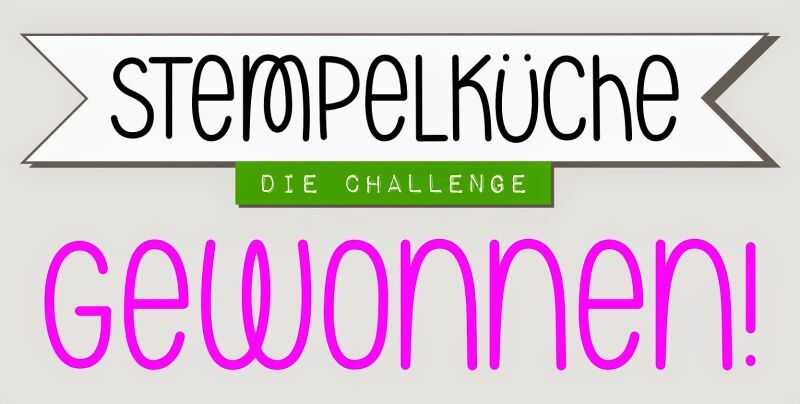 Vielen lieben Dank, dass du wieder bei der Stempelküche-Challenge dabei bist.